An upgraded Kindle Fire or an all new Kindle Fire 2? As expected, more rumors are popping up as the day of Amazon’s ambiguous press conference draws nearer. After a supposed photo of a Kindle Fire 2 emerged Thursday, a source revealed Friday that the company plans to launch two new 7-inch Kindle Fires during the September 6 event. Speculation has existed for quite some time a 7-and 10-inch device were next up for Amazon, but the source, talking with CNET, said the company will instead release an all new Kindle Fire (perhaps the Kindle Fire 2) as well as a somewhat refreshed version of the current iteration. It looks like Amazon has cold feet about directly taking on one of its major competitors - Apple and its iPad - during a time the Cupertino company is expected to launch a 7.85-inch iPad Mini. Google's 7-inch Nexus 7 is also a strong contender in the tiny tablet market, making it difficult for Amazon to make big moves without risking falling flat. According to the source, the all new Kindle Fire will feature more hardware improvements - like a faster processor - plus a camera, physical volume controls and an HDMI port. It will also reportedly have larger storage though it won’t be expandable. 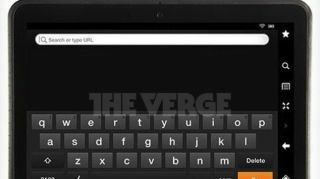 The upgraded Kindle Fire won’t feature many changes, though the source said it will have a new user interface. No pricing information was available nor could the source say whether the devices will be called the same name. It’s important to note that Amazon may have a larger device in the works, but, according to this source, who reportedly saw the devices in person, such a product won’t be unveiled next week. Amazon announced Thursday it had sold out of Kindle Fires, exactly one week before its big Santa Monica, Calif. press event. Leaks of a new "Paperwhite" display on the Kindle Touch also emerged the same day. Whatever Amazon is planning for next Thursday, TechRadar will be there to let you know the latest, though perhaps not largest, news coming from the company.